The three science investigations of SDO have taken over 100 million images of the Sun. This corresponds to 3 Petabytes (3000 Terabytes) of raw, uncompressed data. That's a lot of Dopplergrams, EUV images, magnetograms, and spectra of the Sun! Congratulations to the science investigation teams for handling this data and making it available to solar scientists and the public. SDO executed a Delta-H maneuver today. The thrusters were fired for 33 seconds at 1751 UTC (1251 ET) to keep the reaction wheels spinning at the correct rates. There is a video on Youtube claiming that SDO will see a partial solar eclipse next week related to the total solar eclipse happening November 13. This is not correct. According to the SDO projections the Moon will not be closer than 2 degrees from the Sun next week. SDO sees what we call that a lunar transit when it watches the Moon pass in front of the Sun. Lunar transits are important because of the campfire effect. What happens when you are feeling nice and toasty sitting by a campfire on a cold night and someone walks between you and the fire? You quickly feel cold! It is the same for our solar instruments. They are staring at the Sun and all of the sudden the Moon blocks some of the heat. We must use heaters to keep the instruments operating correctly. We plan quite far ahead for these transits. 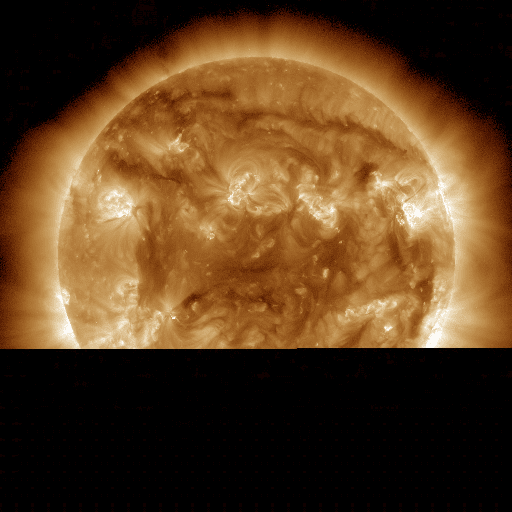 SDO images are included in a new performance called Unfolding Space by Yuval Avital. You can see the Trebuchet Prominence Eruption at 1:30 into the video. Some of the music is sonified HMI data provided by A. Kosovichev at Stanford University. 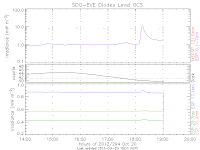 The Fall 2012 SDO eclipse season ends tomorrow. Here is a look at the penultimate eclipse in the AIA 1600 bandpass. This wavelength of light is absorbed by the Schumann-Runge continuum of molecular oxygen at an altitude of about 110 km. This creates atomic oxygen, which moves upwards and creates the thermosphere. That atomic oxygen also is ionized by solar EUV to create the ionosphere. At this wavelength the Sun looks like a ball with a thin, lacy network, bright active regions, and dark sunspots. Many of these features are a little above the visible surface of the Sun. They are held up by the solar magnetic fields. Welcome to the chromosphere, a layer of the solar atmosphere that will be studied by the Iris satellite. The people at LMSAL who built AIA and HMI are building Iris and hope to launch it in January. 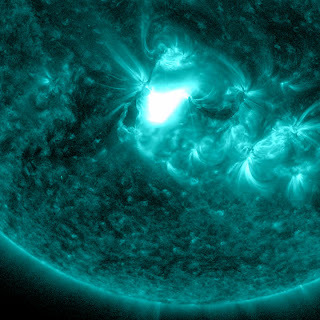 Last night at 2250 UTC (6:50 pm ET) SDO performed another station keeping maneuver. 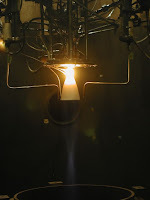 These short firings of the thrusters keep SDO within the longitude box that defines its inclined geosynchronous orbit. The timing of the maneuver is chosen to affect as little of the science data feed as possible. This means it is often near dusk or dawn so that the velocity of SDO very nearly in the direction of the thrusters. We off-pointed only 1" (less than the size of the Sun) for this maneuver. 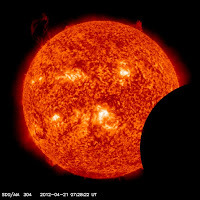 We are nearing the end of the Fall 2012 eclipse season on September 29. A few more partial eclipses and we will be seeing the Sun 24/7 until the Spring 2013 eclipse season! As with any geosynchronous satellite, our ground station experiences radio interference (RFI) near the equinox when the spacecraft appears to pass close to the Sun in the sky. This is because the Sun is a source of radio noise that can overwhelm the signal we are listening to. This years RFI season has passed without loss of any data. 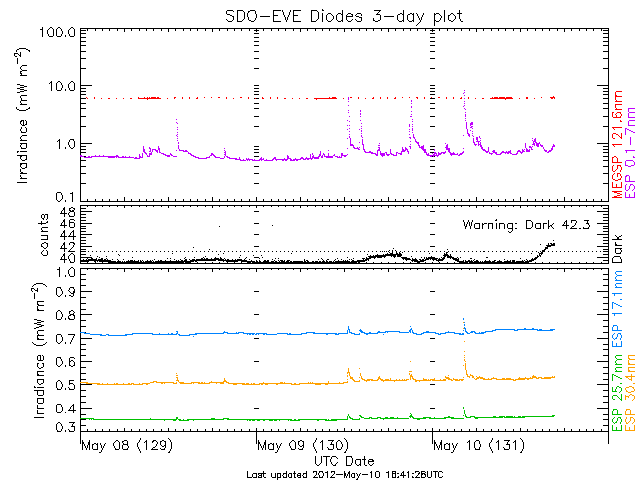 The SDO website has returned to service. A Russian observatory is announcing the discovery of the a new sun-grazing comet, this time out near Jupiter. Comet C/2012 S1 (ISON) will approach close to the Sun in November 2013, possibly as close as 0.012 AU (about 2 Rsun above the surface). It may become visible to the naked eye as well. Comets become visible because they outgas water and other molecules, which reflect sunlight. The further from the Sun the comet becomes visible the bigger the comet usually is. Let's hope that we can get some nice data from SDO during the perihelion passage of Comet C/2012 S1 (ISON). The SDO website will be down while a power line is run into the server room at Goddard. It should return to service later this morning. 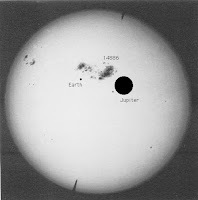 If you lived on Jupiter you would be able to see a transit of Venus tomorrow. It might look something like the one we saw in June. 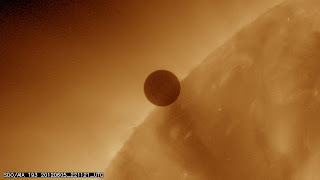 Here is an example in SDO AIA 171, a time-lapse still of the black disk of Venus moving across the Sun. 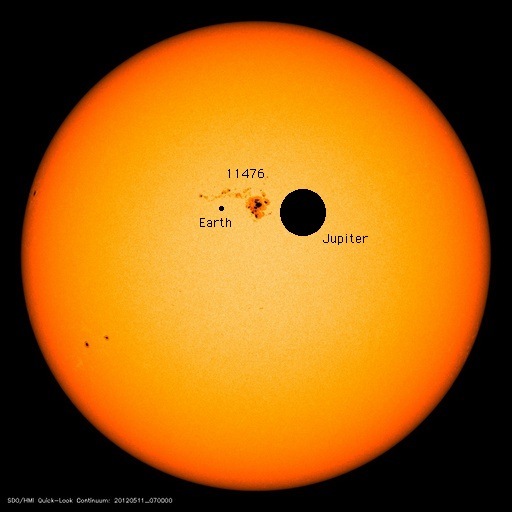 Even though the transit can't be seen from Earth, the Hubble Space Telescope may be able to see the small decrease in sunlight reflected off Jupiter toward Earth during the transit. 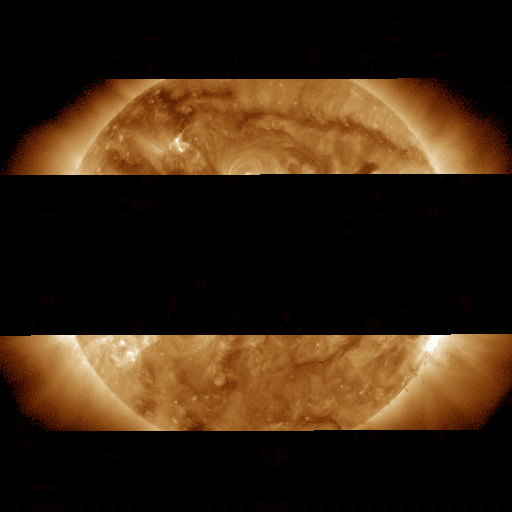 SDO will help by telling the scientists how the Sun's brightness changes during the transit. Given how quiet the Sun has been of late, that should be pretty easy for us to do. Jupiter is ahead of the Earth in its orbit around the Sun, so the quiet side is rotating to face Jupiter, even as a new active region rotates into the view of the Earth. First contact is at 0456 UTC, mid-transit is 0953 UTC and 4th contact is 1451 UTC (all September 20 UTC). That means the transit at Jupiter lasts almost 10 hours (compared to about 7.5 hours for the June 2012 Venus transit at Earth). It's all part of our search for Earth-like planets around other stars. We see a lot of planets in the Kepler data; how can we determine which ones have water and oxygen? 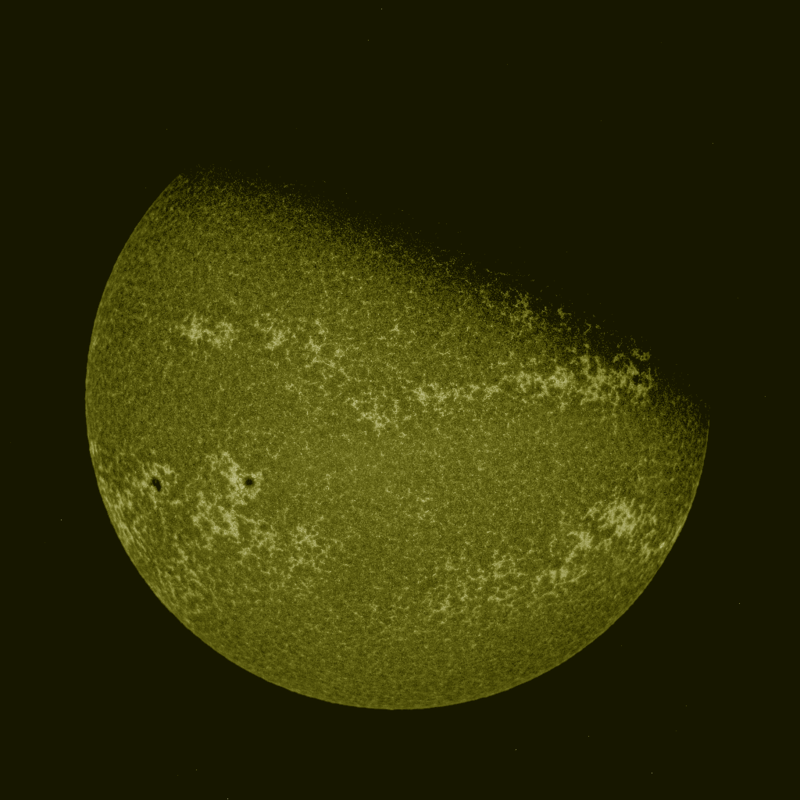 It is always nice to see an SDO image as the number 1 in a top 10 list. Fox News selected the "whip" filament as the top image in early September. Today was the beginning of the Fall 2012 eclipse season. 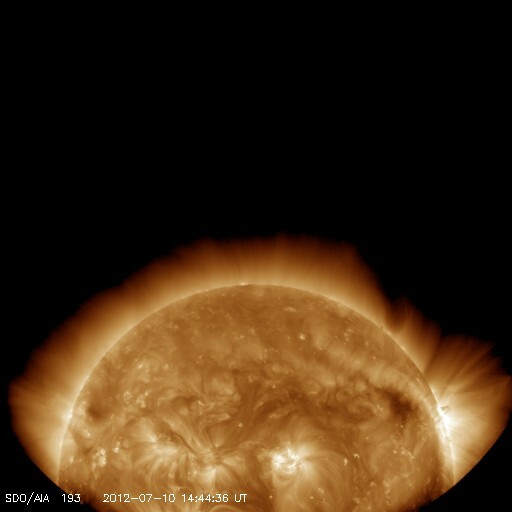 This image in AIA 171 shows that the Earth covered about half of the Sun this morning at 0700 UTC. 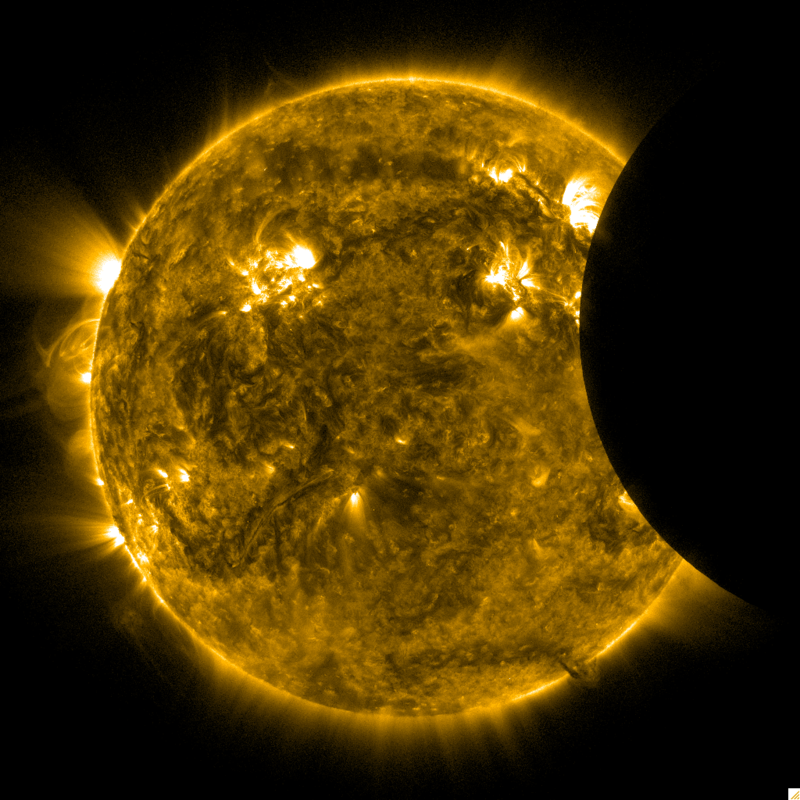 With the SDO geosynchronous orbit comes an eclipse season twice each year. They last for several weeks; this will end on September 26 (just in time for our next maneuver). The database update at the JSOC has ended and data is once again flowing to the right places. The Stanford site is undergoing database maintenance mid-day on September 4. Unfortunately, browse data will not be available during this period. When I checked the kiosk movies today I saw that the edge of the Sun is ringed by prominences. 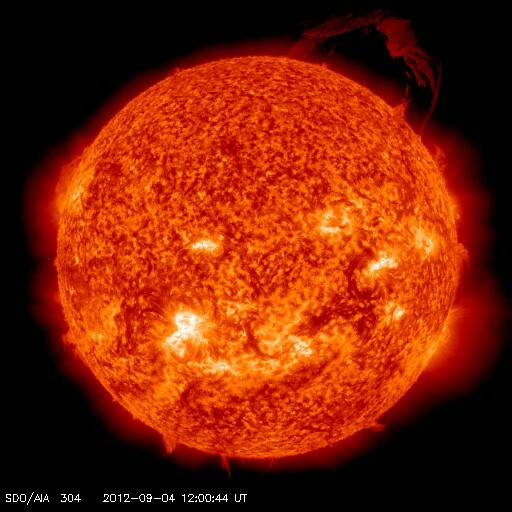 And the face of the Sun is littered with filaments. If you check out the kiosk movie in the 304 band, you will an enormous eruption at 2 o'clock, quiescent prominences at 3, 5, and 7 o'clock, another eruption at 8 o'clock, and something interesting at 10 o'clock. With the 15-minute cadence of the kiosk you see flickering on the face as filaments erupt and move into space. A few small C-class flares happened over the weekend, but the prominence and filaments were the real show over the Labor Day weekend. Today is the 154th anniversary of the Carrington event. 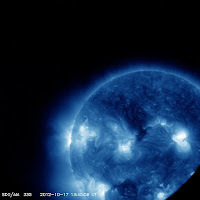 A large flare was observed on the Sun and a magnetic disturbance was seen to happen soon after. It was the largest space weather event ever observed. To honor this observation, I think we should name September 1 as Space Weather Day! For the more mathematically inclined, 154 is a sphenic number, a product of three distinct prime numbers (154 = 2 x 7 x 11). Other sphenic numbers are 30 (2 x 3 x 5) and 42 (2 x 3 x 7). 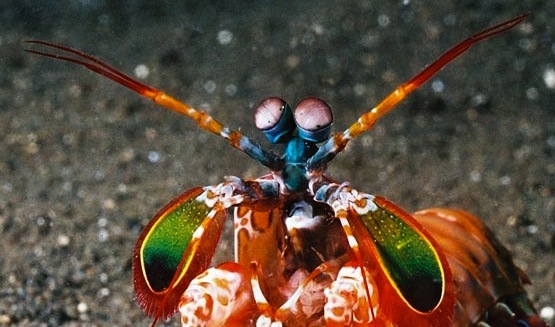 The Mantis Shrimp: A Miniature SDO? SDO takes pictures of the Sun in many wavelengths and uses the polarization of the light to measure the magnetic field of the Sun. Then we are forced to rely on the human eye to look at our images. The human eye uses three color sensors to see millions of colors. We don’t see polarized light any different than non-polarized without special sunglasses. Polarized light has the light waves moving in one direction. Glare is light moving side-to-side so sunglasses that let light through that is moving up and down can keep glare out of your eyes. But we usually don't worry about polarized light. Is there an eye that could better enjoy SDO images? Yes! The mantis shrimp. These arthropods have up to 12 different color sensors and can see light from the ultraviolet to the infrared (see an amazing closeup of the eyes at the National Geographic.) Two channels see shapes and the rest look at colors. One set of eye cells can measure the polarization of the light. They can see about 10 times more colors over a wider range of wavelengths than humans. Rather than the 3-color composites we now display (such as this one from today), we could display AIA and HMI images in a 12-color display. A mantis shrimp might enjoy watching for flares and coronal mass ejections! We don’t understand why a mantis shrimp needs this optical equipment. They live in the brightly colored tropical oceans. Maybe they need to see the differences between friend, foe, and food. Some fish glow in ultraviolet light, perhaps that is another signal the shrimp watch for. The polarized light might reveal semi-transparent fish to a hungry mantis shrimp. Sounds like they have their own real-time feature finding team built into their eyes. 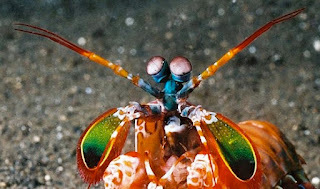 Perhaps we could adapt the multi-wavelength viewing used by the mantis shrimp to find out what is happening on the Sun. Check out the July 30, 2012 episode of RadioLab to hear more about how different animals see color. The air conditioning at Stanford has been repaired and images are once again flowing to the right places. While the 48 hours of catchup is being played some images may be seen in the wrong order as a `latest' file. This is normal during the replay of the telemetry but the usual flow should be seen tomorrow morning. Chilled water is still off at Stanford and HMI and AIA images remain unavailable. Best estimate is they will be available Monday afternoon. Late last night the air conditioning at Stanford University stopped. HMI & AIA images will not be available until the problem is solved, possibly Monday. The science data is unaffected, but we do not have access to the computer drives that hold the images. Also, today is the anniversary of a small space weather outage in Canada. 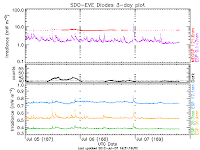 On August 16, 1989 the Toronto stock exchange was disabled by a geomagnetic storm. 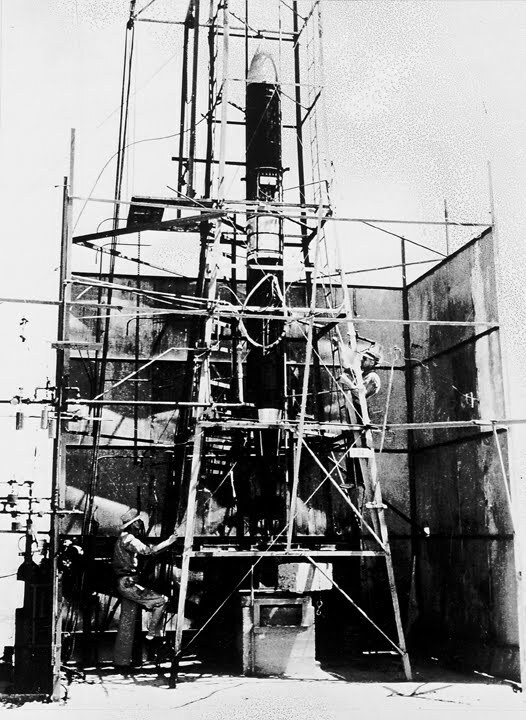 This followed on the massive outage in March 1989 that interrupted electrical distribution throughout Quebec. This geomagnetic storm was caused by a coronal mass ejection from a very large X20 solar flare seen on August 16, 1989, which was even stronger than the X15 flare on March 6, 1989 that heralded the earlier storm. Microchips failed in August 1989 rather than the electrical grid. It affected many fewer people than the 6 million who were left without electricity in March. But it shows the many ways that space weather affects our society. What about the current solar cycle, #24? 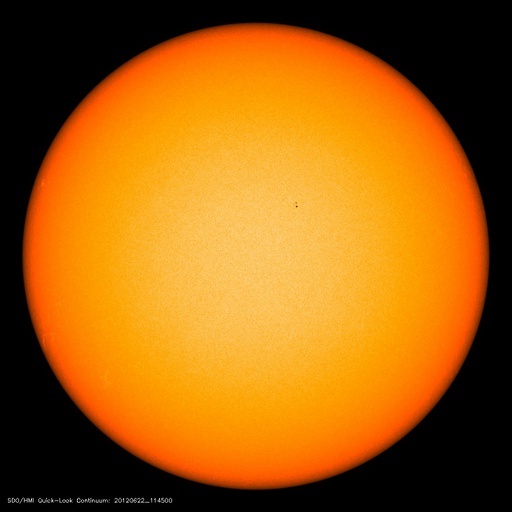 The Sun appears to have reached peak activity for Solar Cycle 24 in its northern hemisphere. The south continues to produce more and more sunspots. During the decline of a solar cycle the sunspots tend to last longer and the coronal mass ejections can cause large geomagnetic storms. Even though large flares are the heralds of violent space weather, it is the geomagnetic storms that interfere with power grids. Solar Cycle 24 continues to follow the path of a below average cycle. It is also the best-studied solar cycle, with SDO, SoHO, both STEREO spacecraft, Hinode and numerous ground-based telescopes watching this cycle grow. 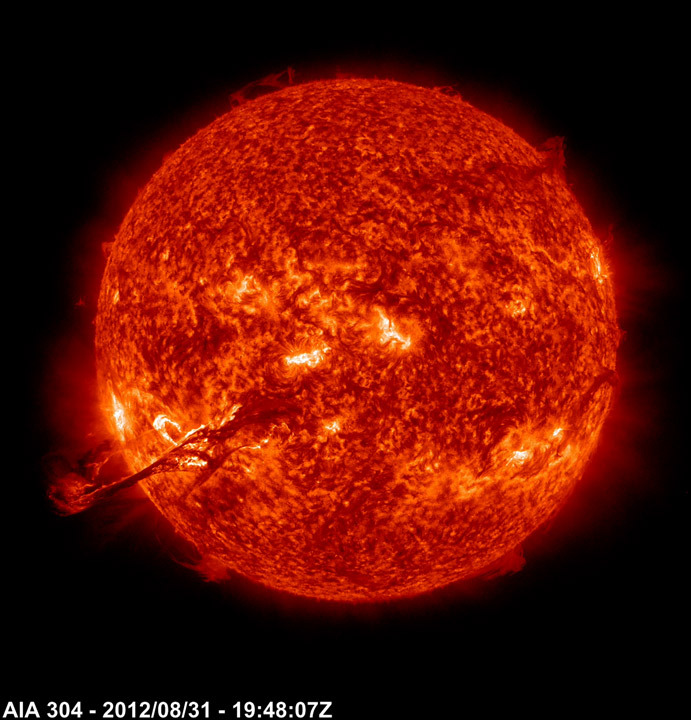 We study the Sun to know when space weather happens and to learn how to predict it. The images from AIA and HMI are just the beginning of the science of SDO! Power outages caused by inclement inclement weather in the DC area are causing outages of many web servers and data services. We apologize for any inconvenience. Our data server is undergoing scans and maintenance, so users may experience temporary outages and some data flows are being interrupted. We apologize for any inconvenience. It is hard to believe we are in solar maximum when todays' sunspot number is 13 or 14. In this HMI continuum image we can see a tiny active region sitting isolated in the middle of the Sun. If it fades we will have a spotless Sun. The AR doesn't even have a number yet! But as the northern hemisphere fades from maximum, the southern hemisphere has still not reached solar maximum. 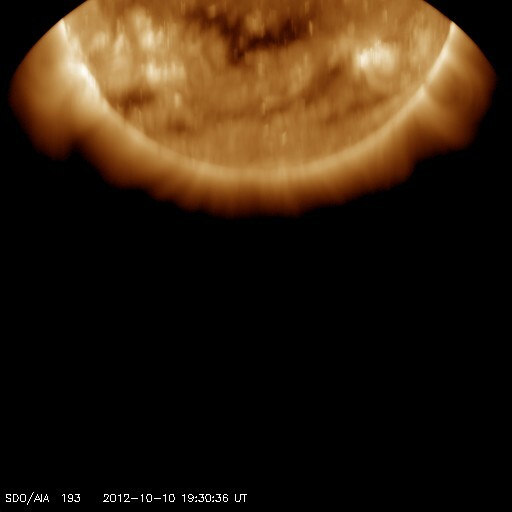 If you look at an AIA 193 image you can clearly see the polar coronal hole is still open. 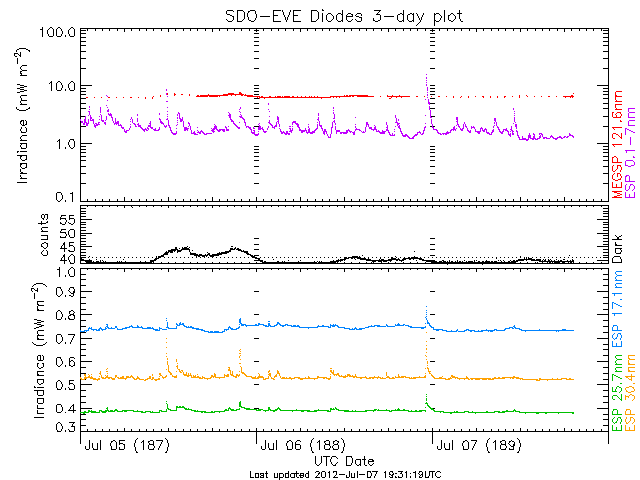 We are still hopin' for some more fireworks from Solar Cycle 24. 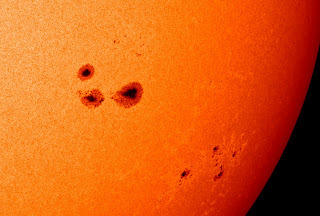 SDO is watching as a trio of large sunspots begins to rotate out of view (June 18-19, 2012) after spewing out numerous solar flares and coronal mass ejections. The regions no longer appear to be growing, but it is likely that the decaying region will continue to produce eruptions for months to come. 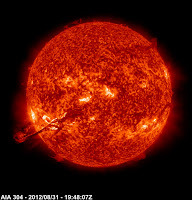 Although visually it only looks like a single flare, sensitive scientific instruments indicated that these were actually two flares very close together (June 13, 2012) from Active Region 1504. 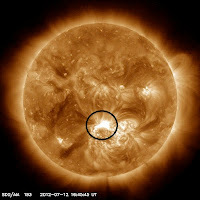 At 12:47 UT a M1.5 solar flare started and only five minutes later a M1.9 flare erupted from the same active region. 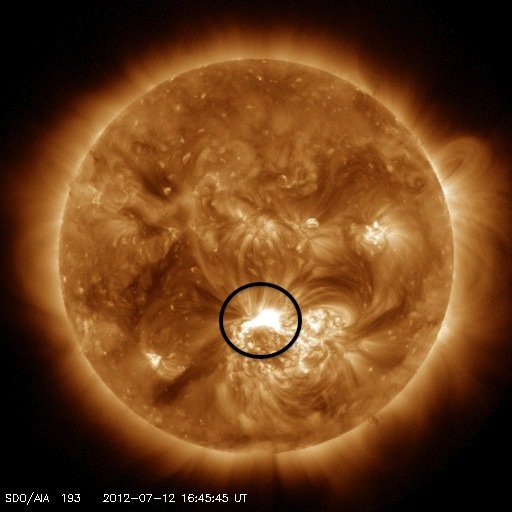 The M1.5 flare peaked at 14:08 and ended at 15:00 UT. The M1.9 flare peaked at 14:35 and ended at 15:56 UT. The image and video clips were taken in extreme ultraviolet light. 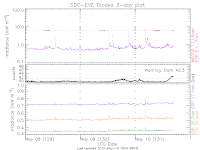 Indicators show that the coronal mass ejection associated with these flares might impact Earth a few days later. The Venus Transit ended early last Wednesday morning. 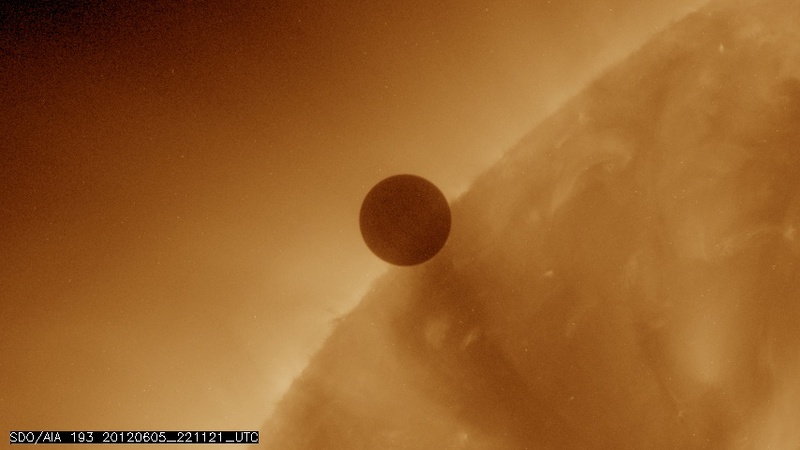 Here is an image of Venus exiting the solar corona in AIA 193. Many thanks to the people who made the data display possible, especially to our Data Meister Phil Scherrer at Stanford University. 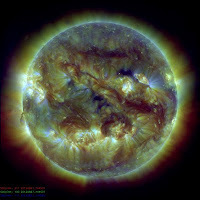 The VenusTransit.gsfc.nasa.gov website is a permanent source of images of the 2012 transit of Venus. Although it was briefly offline this weekend, we have re-enabled the website and you can once again look at the images and movies. Next goal is a posting about how the diffraction pattern of AIA created the ghosts in the EUV images during the transit. Venus as you've never seen it before!! 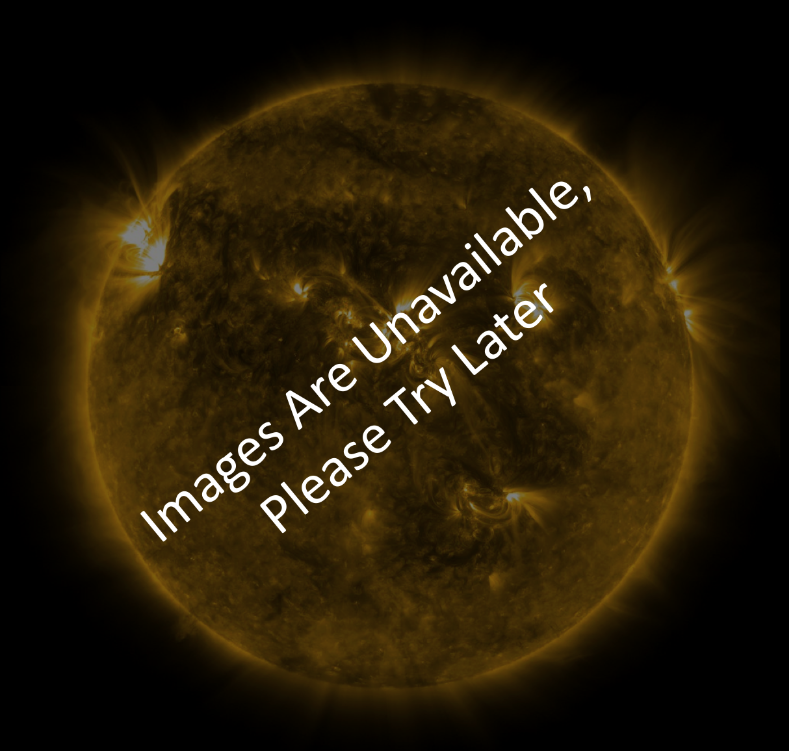 AIA images are back to normal on the SDO website. AIA images are having some problems with labeling. We are working to resolve the problem. Venus Is In LASCO C2! Venus is getting ever closer to the Sun as it moves towards tomorrows transit. Here is the view as it enters images from SoHO's LASCO C2 coronagraph. 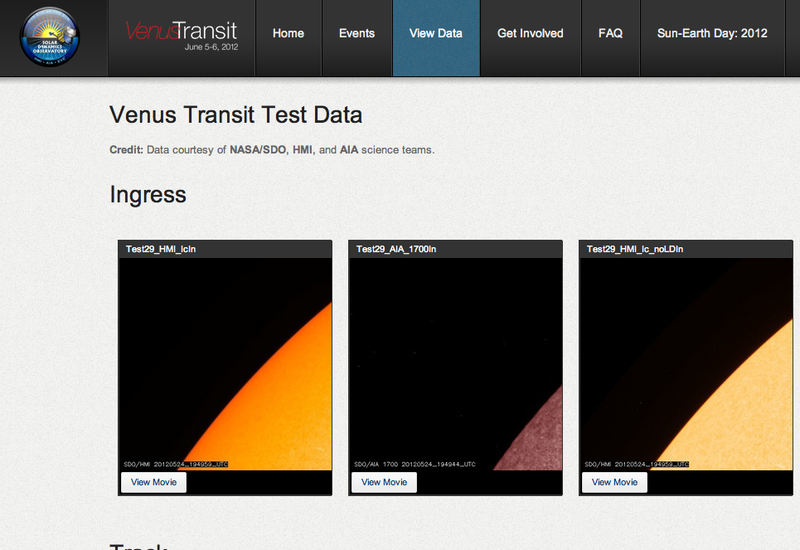 The type of science we will do with SDO during the transit is a story at the NASA SDO webpage. 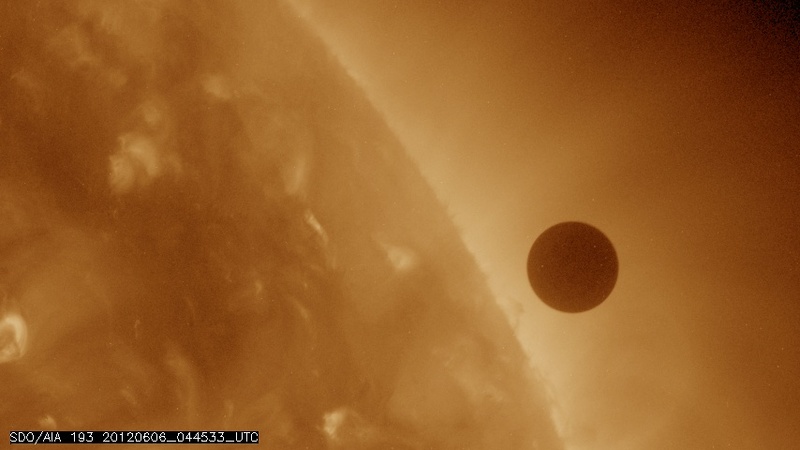 SDO images of the transit will be available at our dedicated website. Today we had the last eclipse of the Spring 2012 Eclipse Season. 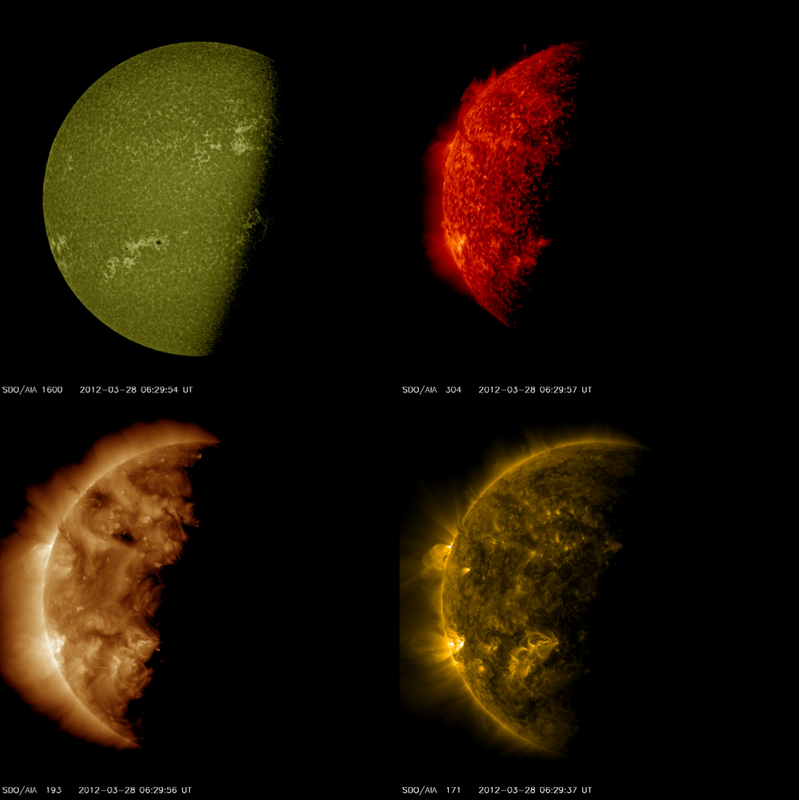 Here are 4 images of the Sun at about 0630 UT today. Comparing the upper left image (1600) with the upper right and lower left we see the different ways the Earth's atmosphere absorbs light from the Sun. Ultraviolet light at 1600 Å is absorbed about 105 km above the surface of the Earth while 193 is absorbed at 130 km and 304 at 150 km. (171 is absorbed at 120 km). The 1600 edge is pretty straight while the others are rougher. 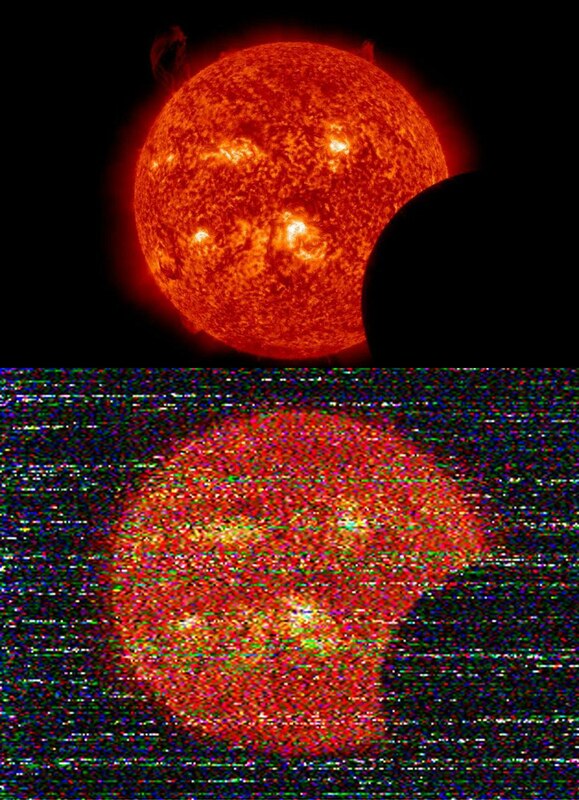 Changes across the disk of the Sun are important in the other three channels, but the effects of changes in the Earth's atmosphere at 150 km can be seen at the top of the 304 image. To really see the effects of the Earth's atmosphere you should use difference images. If all of the solar patterns can be determined you can map the Earth's thermosphere with these partial occultations. Next on the schedule is a ΔV burn today at 2315 UTC (7:15 pm ET). 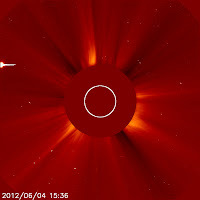 No comet was seen last week, either in AIA or emerging from perihelion in the various coronagraphs. Lovejoy continues as the only Kreutz comet to survive perihelion in the SOHO era. SDO is not in a good position to see Kreutz comets, they approach from behind and must survive perihelion to be visible. From June to December we will be in a better vantage point for seeing comets disintegrate in the solar corona. 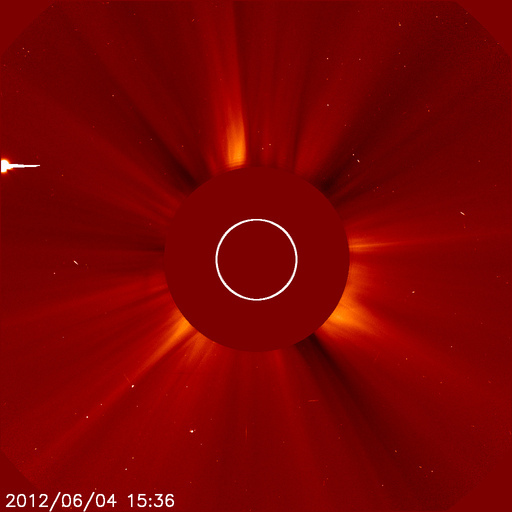 SOHO and STEREO are reporting another Kruetz comet moving toward the Sun. It is expected to make its closest approach to the Sun tomorrow, March 14. 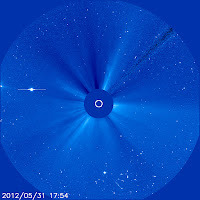 If it survives perihelion and is bright enough, we would see this comet appearing in the upper right side of the Sun and moving down over the disk. Current estimates are that this comet is smaller than Lovejoy. At this time we do not know the time of perihelion passage. We have a daily eclipse of the Sun by the Earth (at 0630-0730 UTC tomorrow), and a momentum management burn tomorrow at from 1845-1915 UTC. During both periods the images of the Sun may be absent. 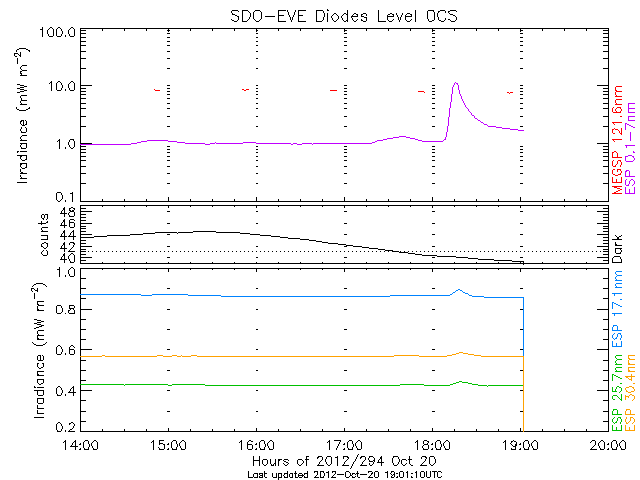 We will be baking out the MEGS CCDs this week starting Monday, March 12, 2012 at about 1400 UT. This will mean no science data from MEGS-A and MEGS-B during the warmup, bakeout, and recovery sometime Wednesday, March 14. ESP is not affected by the bakeout and will continue to produce science data. Bakeouts are a normal and essential part of maintaining the accuracy and sensitivity of an on-orbit spectrometer. Even small amounts of contamination sitting on the chip can reduce the measured solar signal. Heating up the CCDs drives the contaminants off the CCDs and reduces the effect. 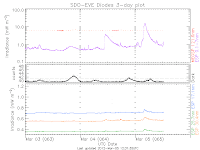 This morning major news organizations are reporting on the possible geomagnetic storm associated with the flares seen earlier this week. Examples: BBC News, CBS News, and The Washington Post. 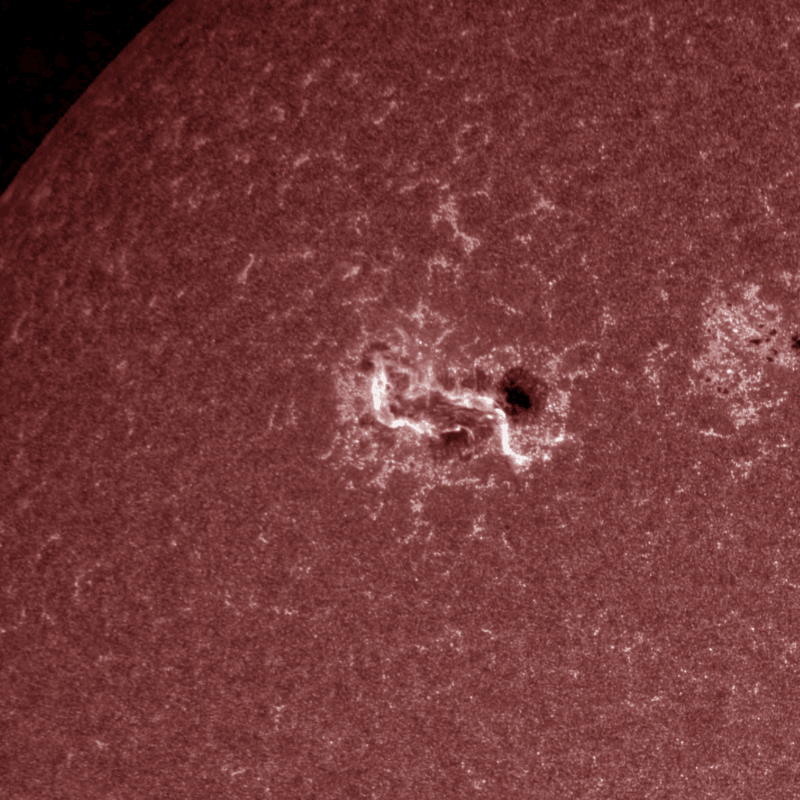 Most use an SDO image to show the flare! 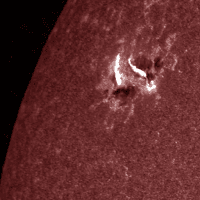 At 00:28 UTC this morning we saw another X-class flare from active region 11429. Here are pictures in 1700 (left) and 1600 (right) showing the two ribbons of this flare. 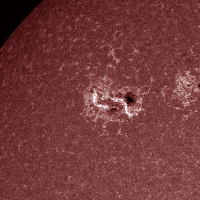 This X5.4 flare lasted long enough to be easily seen in the browse image movies on the SDO website. March 6, 2012 marks the beginning of the SDO Spring Eclipse Season. For the next three weeks the Earth will pass between SDO and Sun at about midnight Boulder time. The length of the occultation will vary from short to almost 72 minutes. Thee eclipses are a normal part of life in a geosynchronous orbit. The AIA data is currently stale (i.e., delayed) but the problem is being looked at. An X-class flare occurred in Active Region 11429 this morning at about 0400 UTC (or last night at 11:00 pm ET). 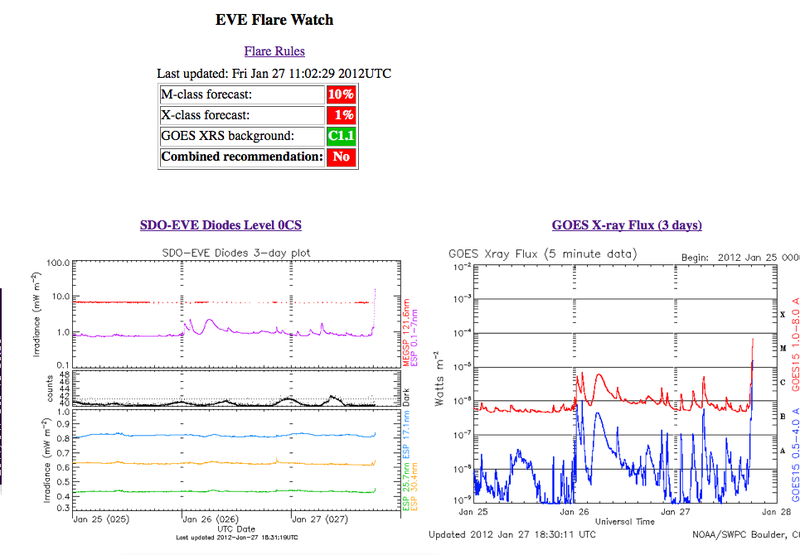 Here is the EVE spaceweather feed showing the Sun brightening. Stayed tuned for more images! 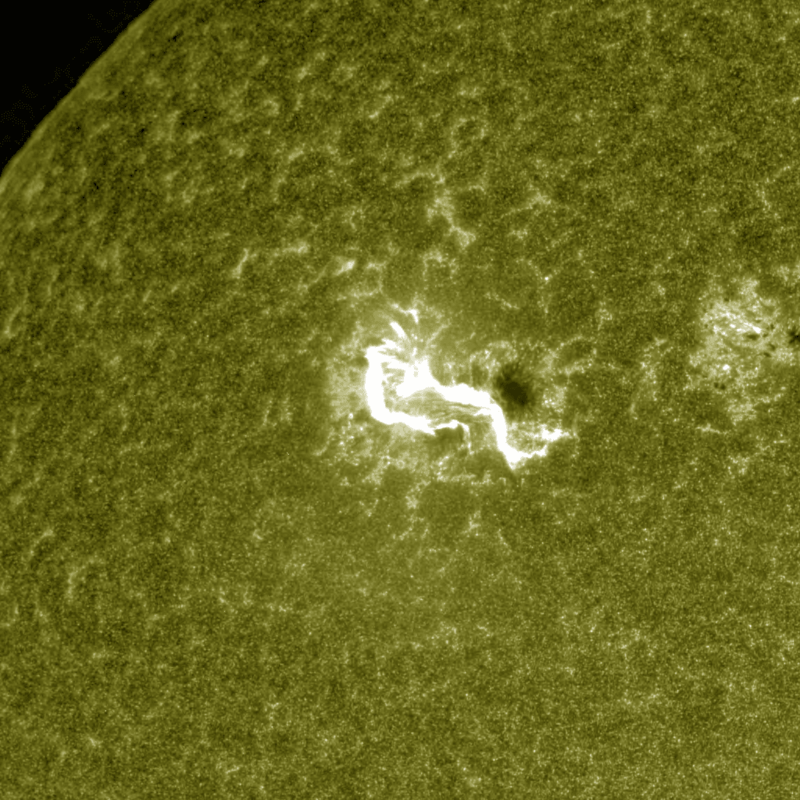 Here is a picture of the X1.1 flare at 04:00:32 UT today. You can clearly see the two ribbons that form along the flare. This image is in light at a wavelength of 1700 Å, in the ultraviolet. It measures the response of the chromosphere rather the corona seen in the shorter wavelength channels. The first two Think Scientifically books are available from SDO Educators Website. 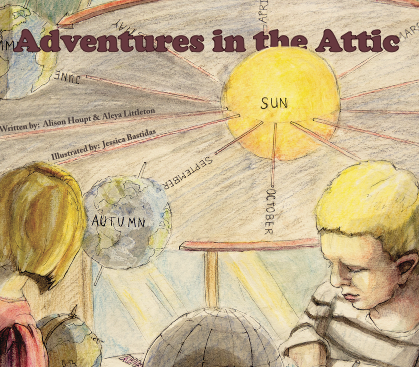 Each book focuses on a key science theme and includes a hands-on science lesson, math and language arts activities, and other educational resources that can be easily utilized in the classroom. 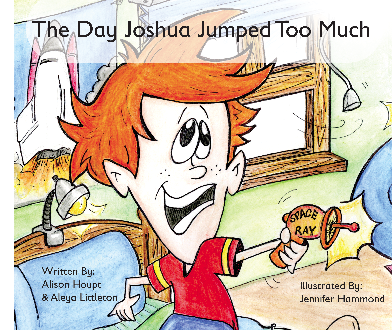 The books are based on national standards and were written by teachers. 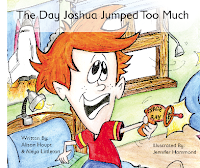 Both books can be downloaded as pdf files from this website. SDO began High Gain Antenna (HGA) handover season on February 23 and all handovers have been successful since then. The FOT is ready for the beginning of eclipse season on March 6. The next momentum unload maneuver in scheduled for March 14. The AIA images are once again current. There is a delay in processing the near-realtime images at LMSAL. They are aware of the problem and are working on resolving it. 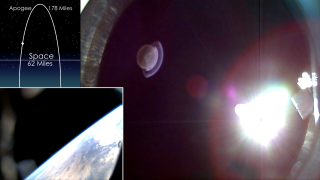 Some near-realtime images will be missing beginning around 0000 UT on 29 February 2012. The power outages at the AIA offices have been fixed and the images are current. There is a processing delay at LMSAL, beginning at 0700 UTC on 24 February 2012. The responsible people have been notified, and we are awaiting a reply. 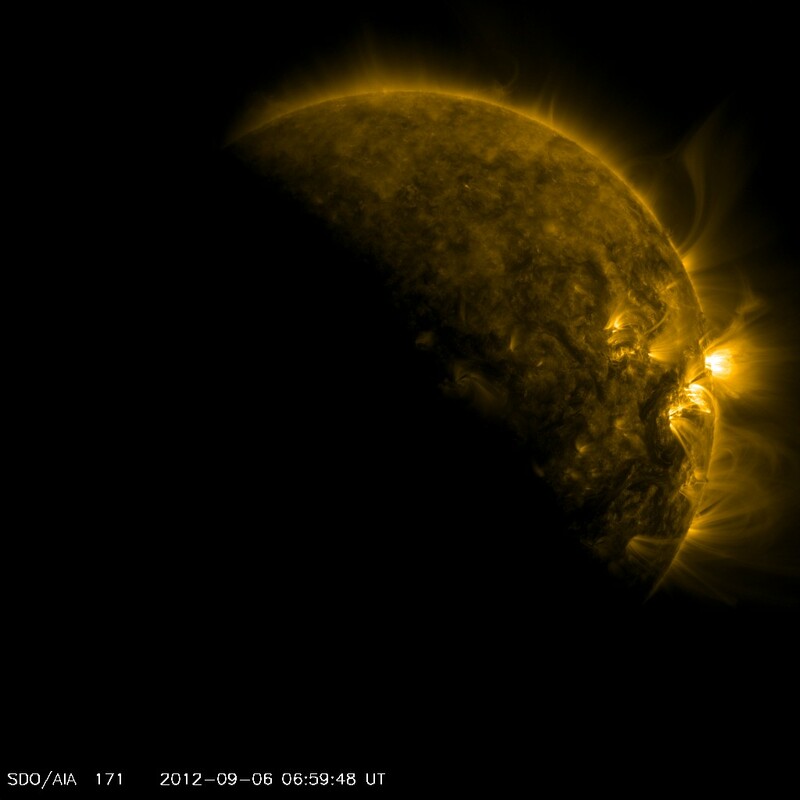 On Tuesday, February 21, 2012 we will again watch a lunar transit from SDO. Here is a video showing the path of the Moon as seen by the SDO instruments. At 10:23 am ET on February 11, 2010 SDO rose into the sky atop an Atlas V booster. 108 minutes later we were a free-flying satellite! 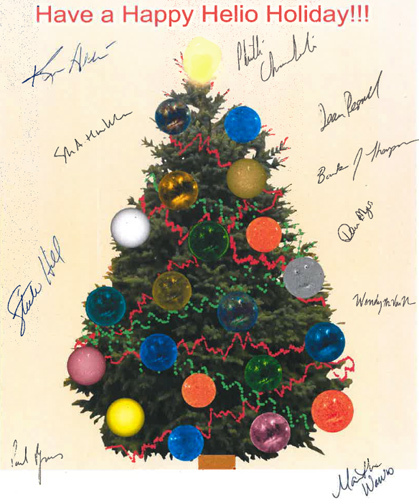 In the 2 years since we have taken about 70 million images of the Sun, in EUV wavelengths, Doppler and Zeeman filtergrams, and EUV spectra. We have seen late phases of flares, magnetic fields as they rise to the solar surface, and 2 comets. Enormous prominence eruptions have been a favorite, especially when the material brightens as it splashes back down onto the surface. This year we will watch as Solar Cycle 24 approaches solar maximum, at least in the northern hemisphere. 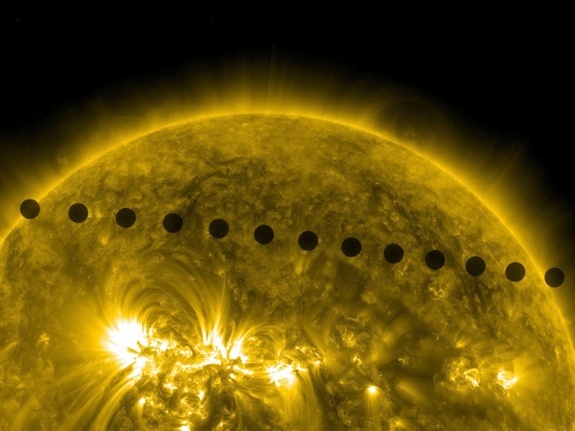 Venus will go across the face of the Sun on June 5-6. It will be another banner year of SDO data and science. As we come up on the second anniversary of the SDO launch on February 11, 2010, it is nice to look at what is happening with SDO data. 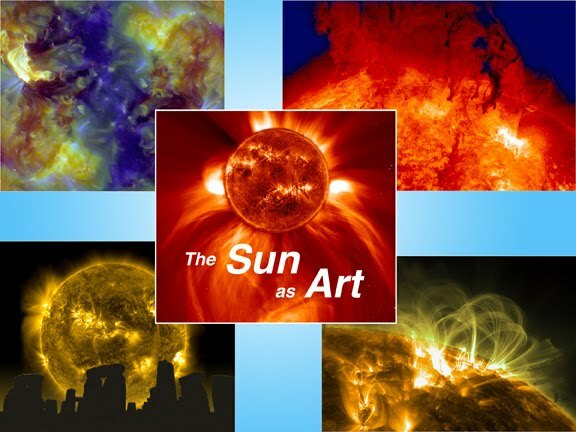 Steele Hill, media specialist for SDO, has developed a set of prints from SDO (and a few other satellites) called The Sun as Art. 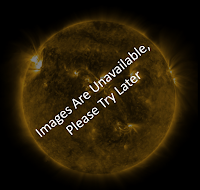 You can see the images on the SDO website. But you can also go see them at the Maryland Science Center in downtown Baltimore. 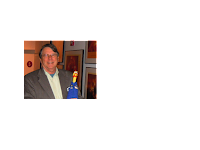 Last nite Steele attended an reception to honor members of the Science Center as well as the opening of The Sun as Art exhibit. Here we see Steele and friend at that opening of The Sun as Art exhibit in Baltimore. It was nice to see the images of the Sun hanging in a science-friendly place! After 3 months in Baltimore the exhibit will travel to other science museums. NASA has just released a study of the Snowmageddon storm that caused such angst during the SDO launch. You can read the story on the NASA Portal. The high winds caused a one-day delay in the launch and then the low temperatures allowed us to see the beautiful waves and disappearing sun dog on the 11th. But the Snowmageddon Team Launch stuck at Goddard got us into orbit and on our way to a great mission. 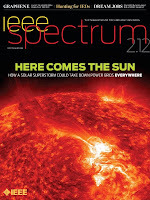 Check out whose on the cover of IEEE Spectrum 2.12! 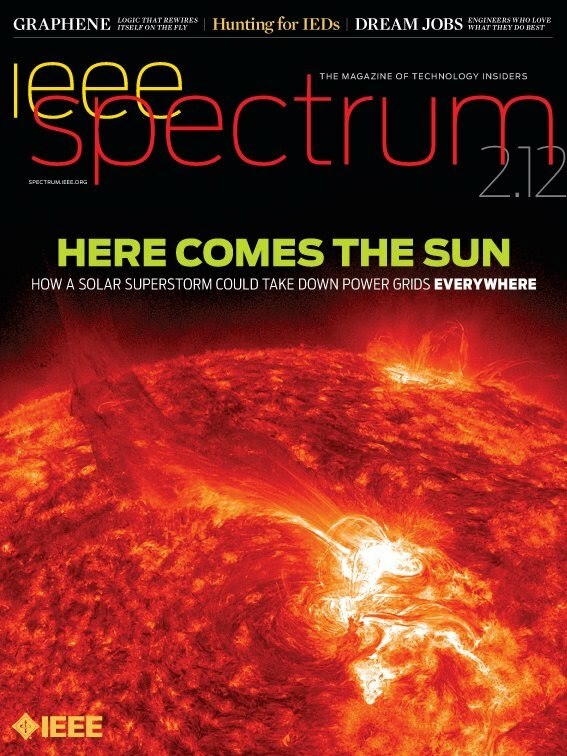 The story is on solar storms affecting the power grid. 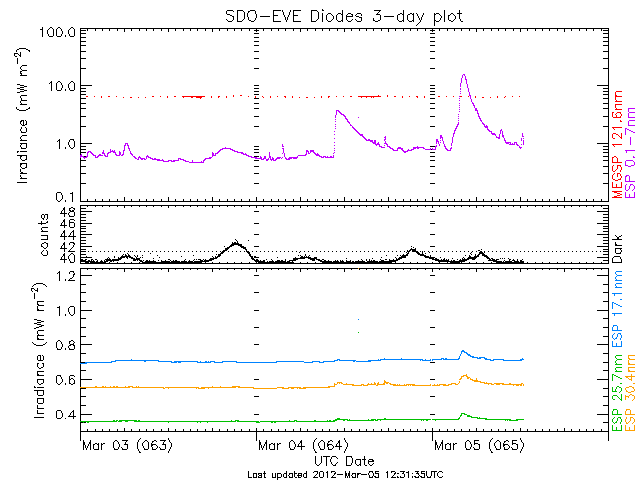 Space weather is becoming more interesting as we approach the maximum of Solar Cycle 24. We are approaching the 2nd anniversary of SDO's launch on February 11, 2010. 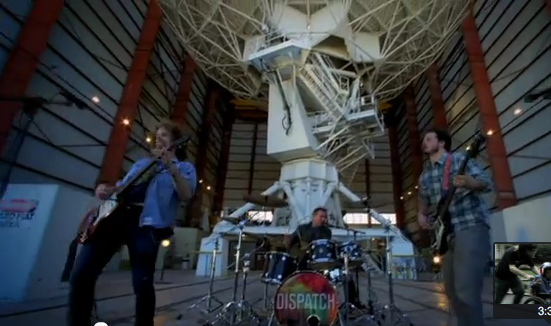 The satellite is still working great! After AR 11402 left loose with several large flares and produced proton fluxes not seen since 2005. the Sun flatlined this past week. There are still cool things to look at, like when is the southern hemisphere going to catch up with the northern. 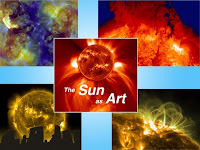 SDO images and scientists will be featured in NOVA's The Secrets of the Sun, coming to a Public TV station near you on April 25, 2012. 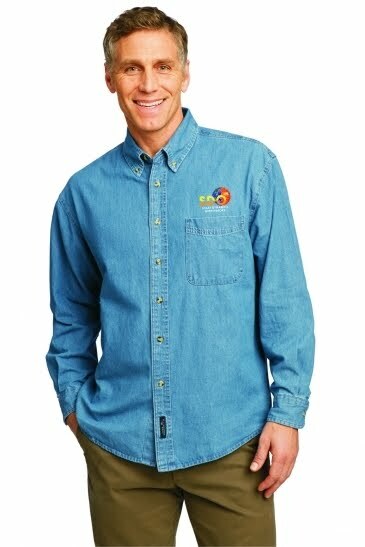 Check out the PBS Homepage for more details.